Today’s Flash Back Friday comes from Episode 166, originally published in September 2013. 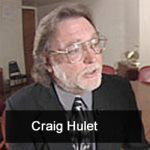 Craig B. Hulet returns to the Holistic Survival Show to talk about some very pressing matters. Jason and Craig discuss all the new drone laws that are happening, gun rights, and how the economy may never recover. Craig is a regular guest on Coast to Coast.